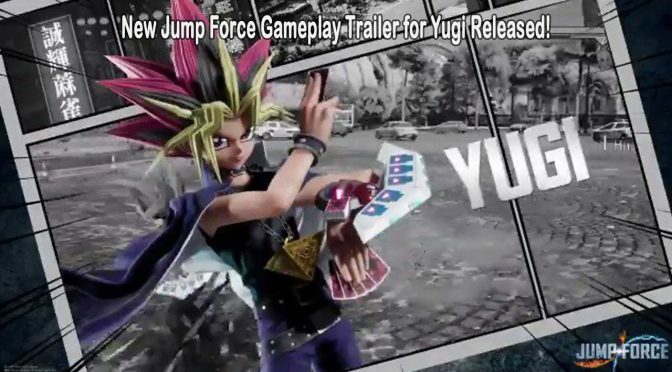 Publisher Bandai Namco has released a brand new gameplay trailer for their upcoming fighting extravaganza Jump Force, this time putting the spotlight solely on Yugi Muto, the main protagonist of the acclaimed Kazuki Takahashi-created anime series. Yugi brings the heart of the cards to the battle against evil on Earth! Naturally, the young hero will have his card deck from Duel Monsters, allowing him to summon the likes of Dark Magician, Dark Magician Girl, and Slifer the Sky Dragon. The inclusion of Yu-Gi-Oh! was announced shortly before last year’s Tokyo Game Show and it looks like Yugi will be the only hero from the Yu-Gi-Oh! world featured in Jump Force.